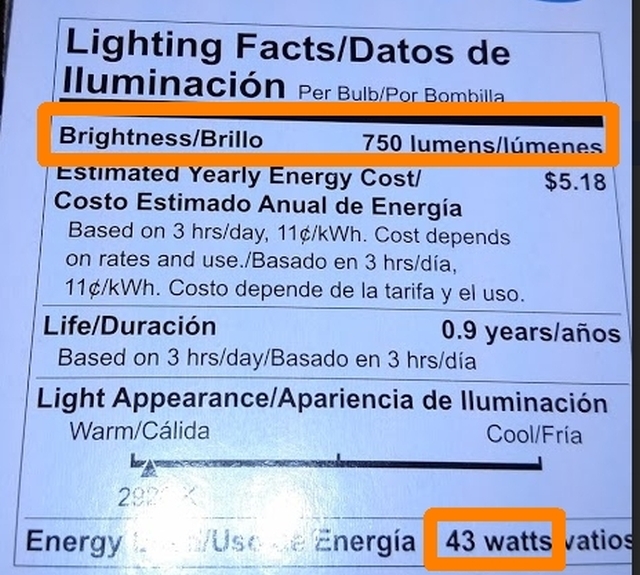 All Energy-Saving Lightbulbs are Not Equal: Check your Lumens and Watts! Imagine if you went to the grocery store and asked for a ‘dozen’ eggs and you were given 11. A little further down the aisle you reached for a ‘dozen’ dinner rolls and you came away with 13. Don’t forget the ‘dozen’ rolls of toilet paper you bought; it has a full 10 rolls in it. It turns out that the use of the word ‘dozen’ doesn’t mean the same from one object to another–it means “sort of 12”. This example is exactly what we have been doing with lightbulbs for decades. The standard “60-Watt” light bulb isn’t the same as the next ‘standard’ 60-Watt light bulb. This hasn’t meant too much to the average person except when we’ve noticed that the new bulb “doesn’t seem as bright” as the 3 year old bulb that’s right next to it. That’s because the new bulb isn’t providing the same amount of lumens, but it is still using 60 Watts of electricity. It’s because the amount of light, or lumens, they give off has nothing to do with the amount of electricity, or watts, they use. In general, the average “60 Watt” light bulb should provide roughly 800-810 lumens. However the number of lumens listed on light bulb packages range from 620 to 825 lumens. Now, jump forward to 2015 where everyone is encouraged to switch to CFL’s or LED’s to reduce their energy usage. 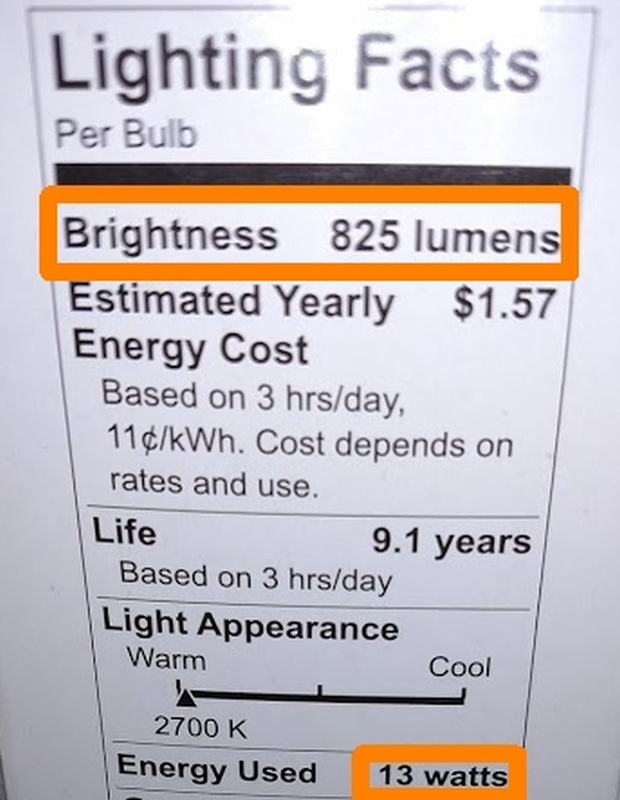 Many light bulb packages say “equivalent to 60-Watt bulb”. 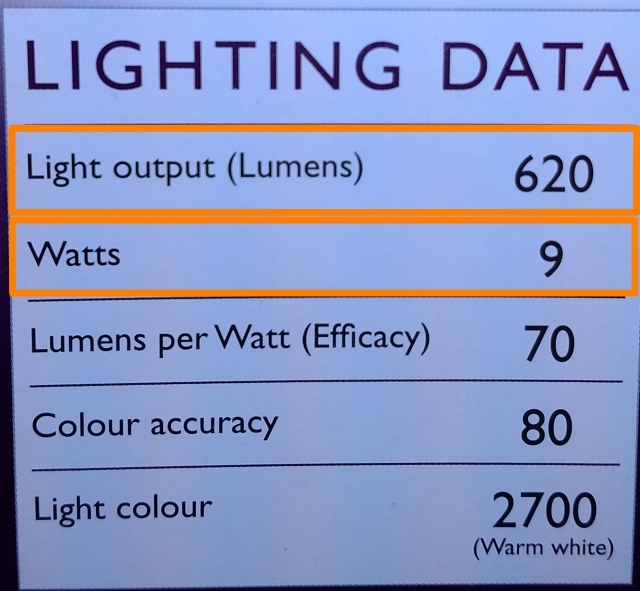 That’s great, but which “60-Watt” bulb are they referring to–the one providing a dim 620 lumens, or the one providing a bright 825 lumens? Be sure to check out the side of the box… and let the lumens light your way. Subscription-based articles and product information about green design, construction, and standards. Explains best ways of using compact fluorescent bulbs. An article published by the New York Times reviewing and testing compact fluorescent lights for the home. This PDF fact sheet outlines the amount of mercury in compact fluorescent bulbs and the proper way to clean up a broken bulb and dispose of used bulbs.